Pastor James Arthur Rumph, D.Min. The Rev. Dr. James Arthur Rumph was born on the toweling peak of Mount Andrews, a proud community in Barbour County Alabama nestled between the townships of Midway and Clayton. For more than 35 years he has served as a church pastor and has been involved in organizing, networking, and mobilizing religious communities and civic organizations around social, political, and economic related issues through churches, ministers associations, and nonprofit groups. His extensive background as chief of administrative fiscal management has included developmental planning, staffing, delegating, public relations, and policy formation. In addition, he has worked on initiatives concerning affordable housing, family support, youth nurturing gangs, and anti-violence strategies. His life’s development has come as a result of the influence of a strong Christian home, growing up in a village minded community, continuous educational pursuits, and attending a Christ-centered church. Growing up in a Christian home, he observed the Christian faith being taught and practiced. Here he was taught to pray daily, read Scripture, and to attend church regularly. Embracing family values, James married Sandra Bryant of Birmingham. They are the proud parents of two children JaSan A. and James A., II. The village minded community where James grew fostered a healthy safe environment. A neighbor taught him upholstery in his upholster shop. He became an outstanding baseball player for the Mount Andrews Flames Baseball Team. He also played defensive end for the Clayton High School Tigers Football Team. After graduating high school, James continued his educational pursuits at Tuskegee (Institute) University, Tuskegee, Alabama. He received an AAT Degree from Chauncey Sparks State Technical College, Eufaula, Alabama; a Bachelor of Arts Degree from the University of Alabama at Birmingham; a Master of Divinity Degree from the Turner Theological Seminary, Interdenominational Theological (ITC) Center, Atlanta, Georgia; and Doctor of Ministry Degree from the Beason Divinity School, Samford University, Birmingham Alabama. 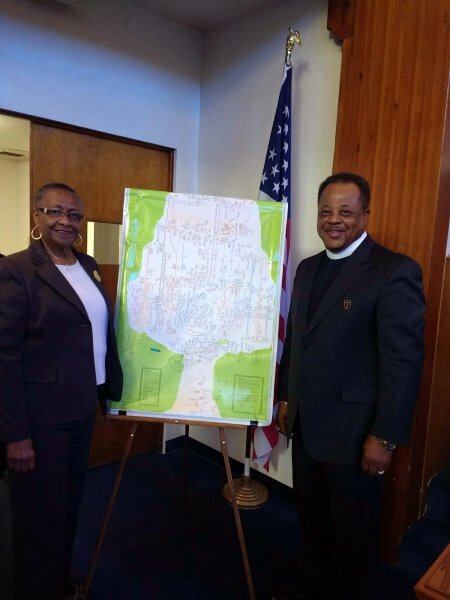 James attended the Shiloh African Methodist Episcopal Church (AME) of Mount Andrews, Alabama, and was baptized as an infant. He accepted faith in the Lord Jesus Christ and was confirmed into the church at age twelve. As a member of the church, James was part of the youth ministry, Sunday school (also assisted the Superintendent), ushers ministry, and the choirs. James loved singing and started a youth choir at age fourteen. The Reverend Dr. James Arthur Rumph answered the call to go preach the gospel of the Lord Jesus Christ in 1979. 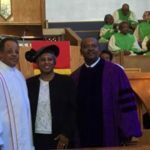 He received his Deacon Ministerial Ordination in the “Solid” South Alabama Annual Conference in 1981 and the Elder Ordination in the West Alabama Annual Conference in 1984. Dr. Rumph has demonstrated gifts and graces for ministry. He has humbly served several churches in Alabama and Missouri, and is currently the Pastor of the Grant AME Church, Los Angeles, California. He was assigned as the Pastor of Grant AME Church on October 29, 2013 and preached his first sermon at Grant on November 3, 2013. Throughout his work as a pastor, Rumph has worked tirelessly to bring souls to Jesus Christ. Under his spirit-led authority, several churches have enjoyed tremendous growth. He has been the catalyst in establishing several new ministries in congregations and communities alike. Such ministries include multiple worship services, athletic youth ministries, fitness and wellness ministries, singles and couples ministries, and several youth praise ministries. To address the need for community ministry, Dr. Rumph launched an outreach initiative called SafeNet, Inc., which provides a variety of programs and projects to help bring hope and healing to hurting people. This faith-based initiative is also responsible for the establishment of award- winning youth sporting programs. 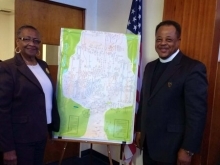 Dr. Rumph served on the Episcopal Committee of the General Conference of the AME Church in 2004, 2008, and 2012. He also served on AME Church’s Strategic Planning Committee; Financial Secretary of the Connectional Council; and Delegate to the World Methodist Conference where he carried the Holy Bible leading in the Opening Worship Service in Brighton, England, in 2011. 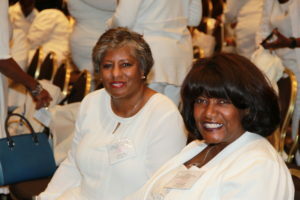 Dr. Rumph holds membership and affiliation in several organizations and agencies. Some of these Alabama affiliates include the Masonic Lodge Adam #27 Prince Hall F & AM, State of Alabama; Greater Birmingham Ministry Alliance; Clergy That Cares; Birmingham Metro Area Justice Interfaith Committee; Fairfield Civic Center Authority; Olivia’s House Advisory Board; Alabama Arise; Professor Nichols-Grady School of Religion; North & East Alabama Annual Conference Board of Examiners, AME Church; and Adjunct Professor, Ethics, Lawson State Junior College. Pastor Rumph is most grateful for his relationship with God, the Father of Jesus Christ, his family, and his opportunities to serve in the church and the community. Rumph believe that we can upgrade local churches by building on the foundations of their true identity. 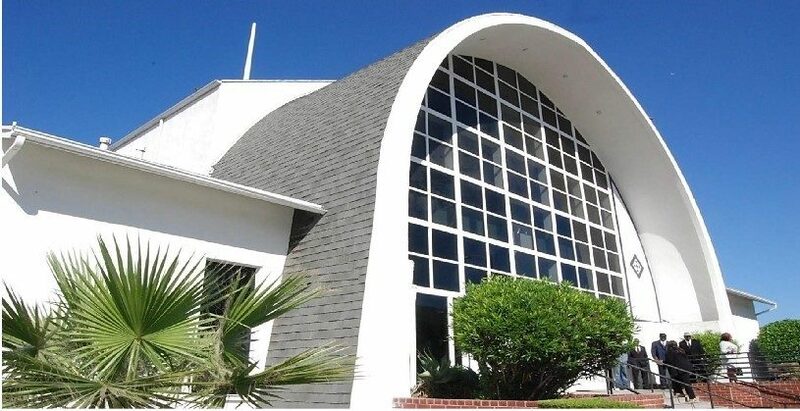 Dr. Rumph is calling the Church to “Upgrade” in his campaign as he offers himself for service as a bishop in the African Methodist Episcopal Church in 2016.